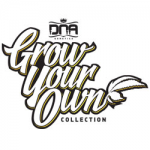 DNA Genetics - GYO Collection - Lemon Walker. Free US delivery. Another terpene rich variety that we are bringing out is the Lemon Walker. Lemon Walker is a cross of our multi cup-winning cut of Lemon Skunk crossed to our multi cup-winning cut of Skywalker Kush. Expect to see GOOD YIELDS with STRONG MEDICINAL effects. Great for stimulating appetites, as well as helping with concentration and focus problems. Lemon Walker growers to a moderate height and produces large buds even on the bottom branches. Flower times will be in the 8-9 week range with lemon citrus scented flowers that have major Kush over tones. Grows like Lemon skunk, tastes like Skywalker, and smells of Lemon Concentrate Kush!